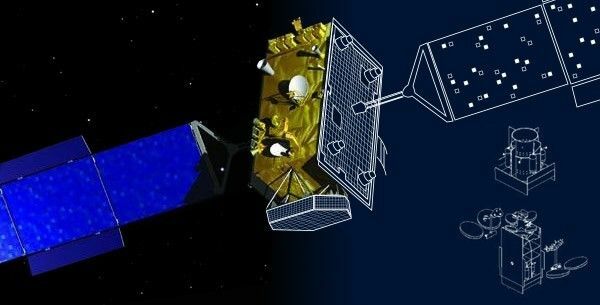 The Call For Ideas (CFI) is issued to gather valuable input from the satellite communication industry and experts to help ESA establish relevant work plans for the Future Preparations and Advanced Technology elements of the Advanced Research In Telecommunications Systems (ARTES) programme to meet future satellite communication needs. In 2015 there was an evolution of the ARTES program. ARTES 5.1 has been renamed ARTES Advanced Technology and ARTES 1 has been renamed ARTES Future Preparations. In addition greater flexibility is given to industry to propose innovative solutions to the technical challenges identified by ESA. The Call for Ideas is continuously open on the ESA ARTES web site. The ARTES Future Preparations and the ARTES ScyLight work plans are continuously updated based on the ideas received. The ARTES Advanced Technology work plan is updated yearly. Ideas for inclusion into the next work plan should be submitted during the first quarter of the year. The idea submission cut-off date for the next work plan is posted on this web-page. All ideas and suggestions are welcome and will be carefully assessed taking into account the adequacy of the proposed idea with respect to the objectives of ARTES. This may require the need to contact the idea proponent for clarifications. To submit ideas, it is requested to fill in a questionnaire using the ARTES Call For Ideas - online form. In addition, it is encouraged to elaborate the description of the idea through the submission of supporting documentation (see online-form). A set of guidelines has been prepared for the ARTES Advanced Technology and ARTES Future Preparations to help with the preparation and submission of the ideas. indicating “TLTP request” in the subject line. The plan indicates the main trends influencing Research and Development orientations. (a) Supporting the definition of ESA's telecommunications strategy and its impact on European and Canadian industry. This includes specific market research, identification of the cost benefit analysis of introducing satellite communication services for specific use, analysis of the legal or regulatory environment and monitoring of the execution of the ARTES programme. (b) The next generation of telecommunication satellite systems and the associated development roadmaps including in orbit demonstration or validation. Based on the identification of potentially new markets or the need to propose new services on existing markets, system studies may be performed to identify the main performances that can be expected, the benefits of introducing new technologies and the associated roadmaps that would be necessary to introduce these new systems. (c) The integration of satellite networks with terrestrial ones. Satellite telecommunication networks are to be integrated with terrestrial networks that contribute to more than 95 per cent of the total revenues of the sectors. A satisfactory integration level needs to be guaranteed at user, service provider or network operator level. (d) The support of standardisation activities through the involvement of special interest groups. Access to spectrum and the development of adequate interoperable standards are essential for the widest implementation of the solutions proposed by the European industry. Activities in the ARTES Future Preparations and ARTES Advanced Technology elements receive 100% funding and contractors are selected through competitive open invitation to tenders (ITT). ScyLight ("skylight") is the ARTES element dedicated to Optical Communication Technologies. Through it, ESA aims to elaborate a technology roadmap for optical communication technologies, undertaken in close coordination and cooperation with all stakeholders involved: industry, operators, service providers, satellite manufactures, research institutes and other experts in the field. The ARTES ScyLight work plan is continuously updated based on the ideas received. There is no idea submission cut-off date for the work plan. ARTES ScyLight implementation is organised in four thematic lines of which lines 1 and 4 are considered in this call for ideas. Line 1 covers ESA-initiated market and system studies including optical transmission/propagation studies, as well as ESA coordination of user and expert groups (i.e. satellite primes, operators, service providers, industry) to define the roadmap and derive ESA ITTs. This Line also covers ESA-initiated development activities on critical and commonly required components and their validation, evaluation and in-orbit verification, and supports coordination efforts with standardization bodies. Line 4 is dedicated to Quantum Cryptography technologies and covers the related development as well as in-orbit and service demonstration, including Quantum Key Generation and Distribution systems, and the demonstration of related end-to-end systems.